Is your little girl a Princess? Aren’t we all! Let her imagination become reality. Then let her be dazzled by our princess, who arrives in a beautiful gown with a glittering crown & sparkling jewels. We sparkle just like your princess! 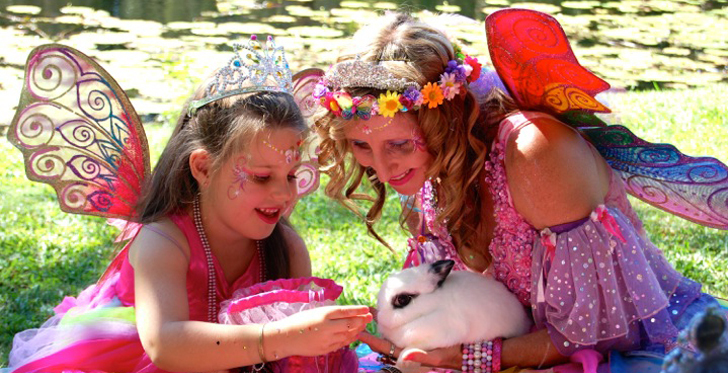 Our adorable bunnies come out to play and love all the attention and cuddles. 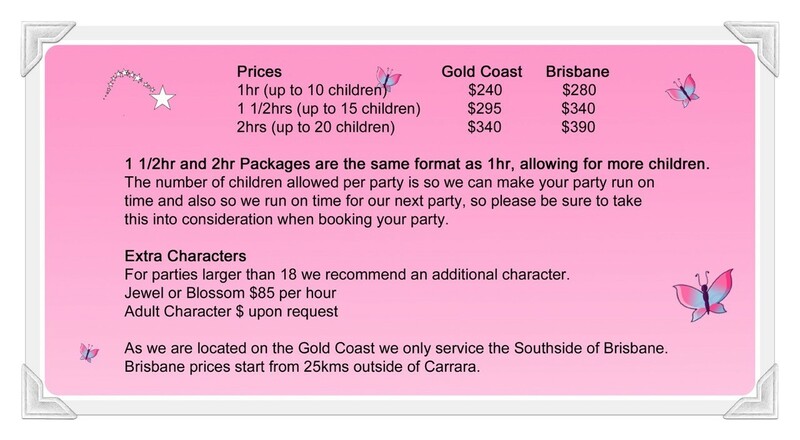 We cater for the boys as well..
Fabulous face painting for the Birthday child & all their special friends or maybe a little sparkle with our glitter tattoos. Balloons, balloons & more balloons! 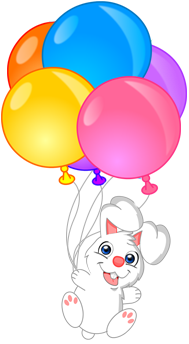 Everyone receives a creative balloon like a fairy wand, bunny, butterfly, sword,etc. Which we make especially for everyone to remember the great time they have at your party. 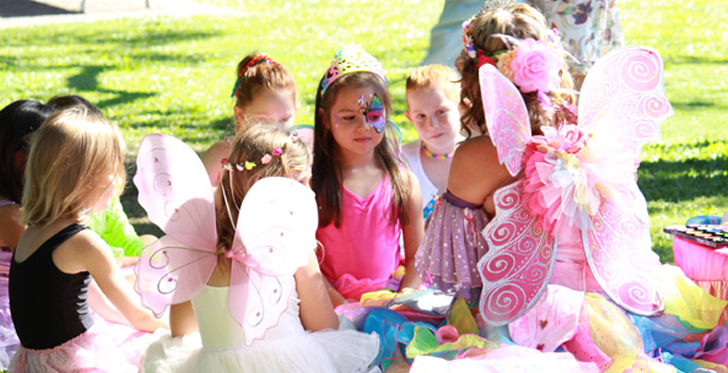 The Jewel Package includes Pass the parcel, which every child receives a little gift and we play Princess Petals. Fabulous face painting (eg. princess face or mini spider face). Balloon twisting or glitter tattoos. Our magic show is full of fun & excitement, colourful props, sometimes fire magic and of course the Birthday child gets to make our beautiful bunny appear. 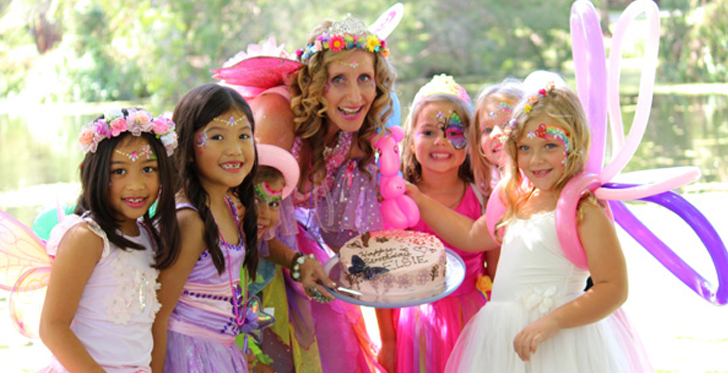 Your child becomes the star of the show in our interactive parties, which every one feels a part of. Crowning ceremony (the Birthday child receives her tiara). Meet one of our adorable bunnies. Good bye song and hugs. Fabulous face painting or balloon twisting or glitter tattoos. Princess Petals (Like musical chairs but with flowers mats). 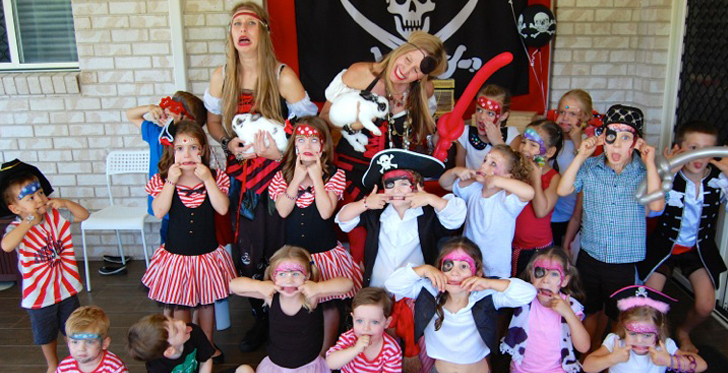 In my experience, I find that at this age the children do not like to stay still for as long and are a little young for our magic show, so for this age group we recommend face painting, balloon twisting and dancing.